You cannot revoke an irrevocable living trust. Irrevocable trusts cannot be terminated after they are finalized. This sets them apart from revocable trusts which can be terminated, at least until they become irrevocable at the death of the trust maker (the grantor). To learn more about revocable trusts, go here. When talking about trusts, the term “living” means that the trust goes into effect during the grantor’s life. So, an irrevocable living trust is a trust that 1) goes into effect during the grantor’s life and 2) cannot be revoked. To confuse things further, a “testamentary” is a trust that is made during a grantor’s life, but does not go into effect until the grantor’s death. A trust that can be revoked. A trust that can be revoked and that takes effect during the life of the grantor. Becomes irrevocable at the death of the grantor. Usually made to avoid probate. A trust that cannot be revoked. A trust that cannot be revoked and that takes effect during the life of the grantor. Usually made to transfer wealth, protect assets, or reduce taxes. A trust created during the life of the grantor, but that takes effect at the grantor’s death. Usually made as part of a will – for example, a child’s trust made to name a trustee for property left to a minor. Bypass Trusts – A trust used by spouses to reduce estate taxes when the second spouse dies. When the first spouse dies, the bulk of his or her property goes into the trust. The surviving spouse can use trust property (and income from trust property), but he or she never owns it. So when the surviving spouse dies, that property is not included in his or her estate. charitable lead trusts -- You put property in a trust, name a charity to receive income from the trust for a set amount of time, and then name someone else as a final beneficiary. Learn more about Charitable Gifts and Trusts. Grantor-Retained Interest Trusts (GRATs, GRUTs, GRITs, and QPRTs) – These trusts also reduce estate taxes by removing property from a taxable estate. The trust maker puts property into the irrevocable trust and names final beneficiaries, but retains some interest in the trust for a set amount of time. That interest might be a fixed annuity from the trust (GRAT), a variable annuity (GRUT), trust income (GRIT), or the right to live in the trust property, a home (QPRT). When that set time period is over, the final beneficiaries own the property outright, and the IRS will value the gift at the time of the creation of the trust. The grantor must outlive the terms of the trust, or no savings will be created. Learn more about estate taxes on the Estate and Inheritance Taxes section of nolo.com. Spendthrift Trusts -- Spendthrift trusts allow you to protect (and control) gifts that you give to those who may not be able to manage the money themselves. You put property into a trust, and the trustee (which can be you) doles out money to the beneficiary according to the terms of the trust. The beneficiary cannot access trust property on his or her own, so it is protected from the beneficiary’s creditors – at least until payments are made directly to the beneficiary. Special needs trusts -- A special needs trusts provides financial support for a person with special needs, without affecting his or her qualifications for government benefits. Property is put into a trust for the benefit of a person with special needs, often by a parent or other relative. The terms of the trust allow the trustee to use trust funds to buy certain things for the beneficiary, but because the beneficiary never owns trust property it is not considered to be an asset when he or she applies for government benefits. Learn more about Special Needs Trusts. Most irrevocable trusts require skilled drafting by an experienced attorney. To learn about hiring a lawyer, go to the Working With a Lawyer section of nolo.com. To search for an attorney in your area, try Nolo’s Lawyer Directory. 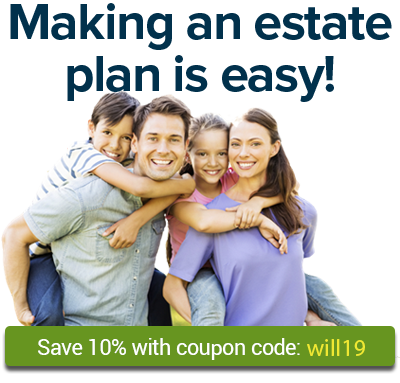 Or to learn more about trusts and estate planning, go to the Wills, Trusts & Estates section of nolo.com.